Make your gathering as memorable as the day. Your grads are ready to take off their caps and gowns and put on some party clothes. 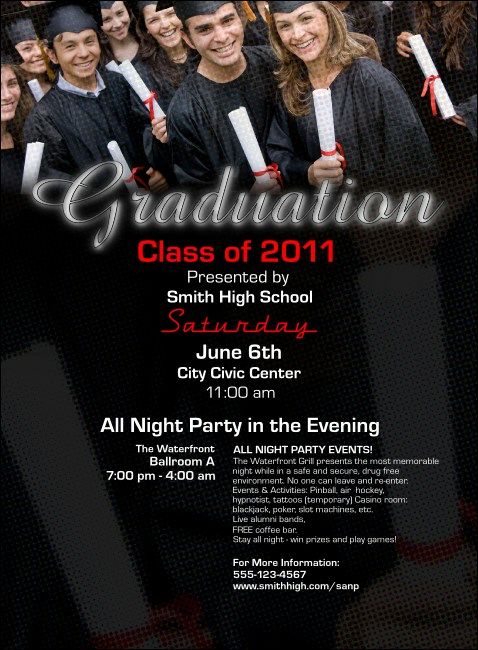 Announce that party with the Graduation Diploma Flyer. Featuring the photorealistic image of smiling young adults clutching their diplomas, this Flyer has plenty of room for your custom information. Make it a memorable celebration with matching designs from TicketPrinting.com.